Most parents are not aware that primary teeth – also called baby teeth – are just as important as adult teeth. 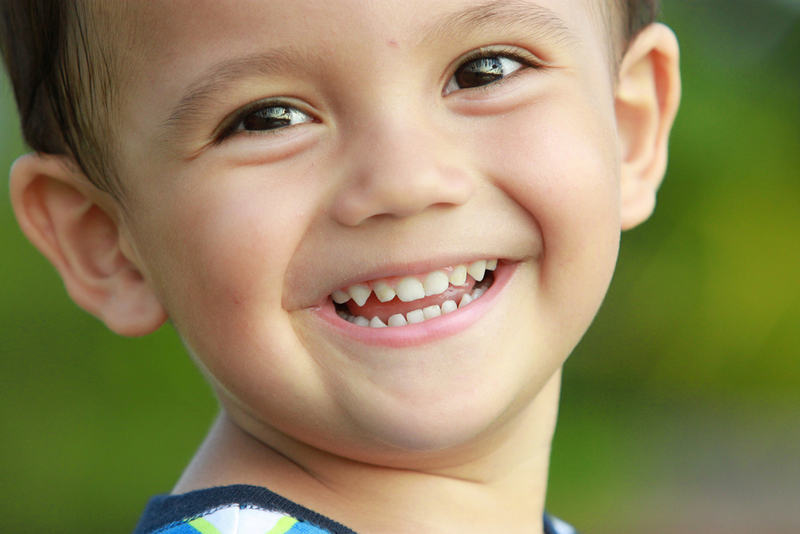 The position of primary teeth helps set the spacing needed for the adult teeth to come in. For this reason, it is very important to ensure they remain healthy and in your child’s mouth for their expected lifespan. Prevention should begin before your baby has their first tooth. Bacteria starts to form and grow in their mouth as soon as they are born. Use a clean washcloth to wipe baby’s mouth 1-2 times per day. This will disrupt bacterial growth, so it does not infect the gum tissue. After a baby has their first tooth, it is important to be brushing two times a day. Brush both the tooth and the gum tissue where there are no teeth. A child that gets a lot of cavities on their primary teeth is more likely to get decay on their adult teeth because the bacteria that can cause decay has already been introduced to their mouth. The chart below gives approximate times of when to expect your baby’s first tooth and their first adult tooth. As you can see from the chart, a child can keep some of their primary teeth up to 13 years of age. At regularly scheduled dental visits, the dentist can be sure the teeth are clean and cavity free and can educate on home care, including detecting habits that may increase the risk of decay, i.e., sipping on pop or juice. Fluoride is another preventative method that is extremely underutilized. The amount of fluoride found in tap water is minor and only helps for a small amount of time. The fluoride used in the dental office soaks into the teeth and slowly releases for the next 90 days. This gives your child the best chance to remineralize their teeth to keep them strong. Sealing the six-year-old and 12-year-old molars help to prevent bacteria from getting into the deep biting surfaces of the molars where a cavity can easily start. As a parent, these are some tangible ways you can help your kids have a healthy smile by preventing decay, showing them the importance of good home care, and taking advantage of all the preventative services we offer at our office. As always, if you have questions, please feel free to ask a member of our team here at Alexandria Smiles!